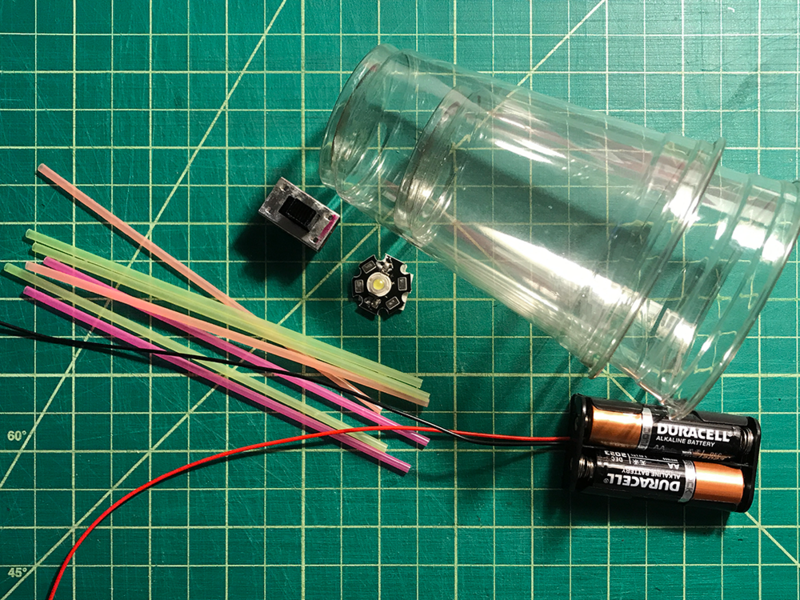 Materials: 1w star led, 2 transparent plastic cups (should be identical sizes), toggle switch, AA battery holder for 3V. 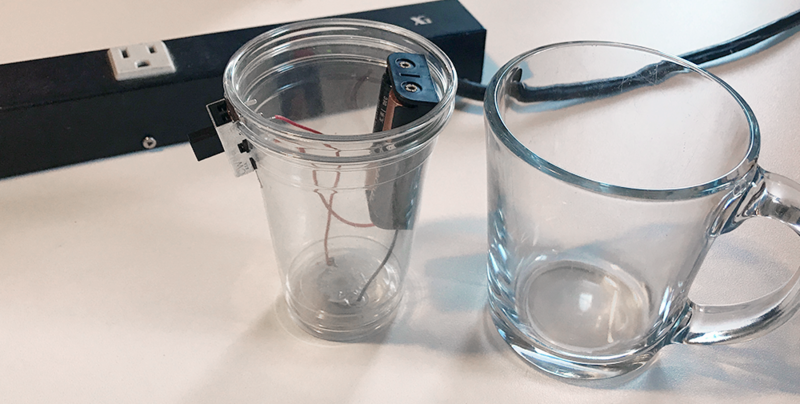 Thin straws were meant to be used for wire holder, but got excluded during the process because they rather made the structure more complicated than making it simple. 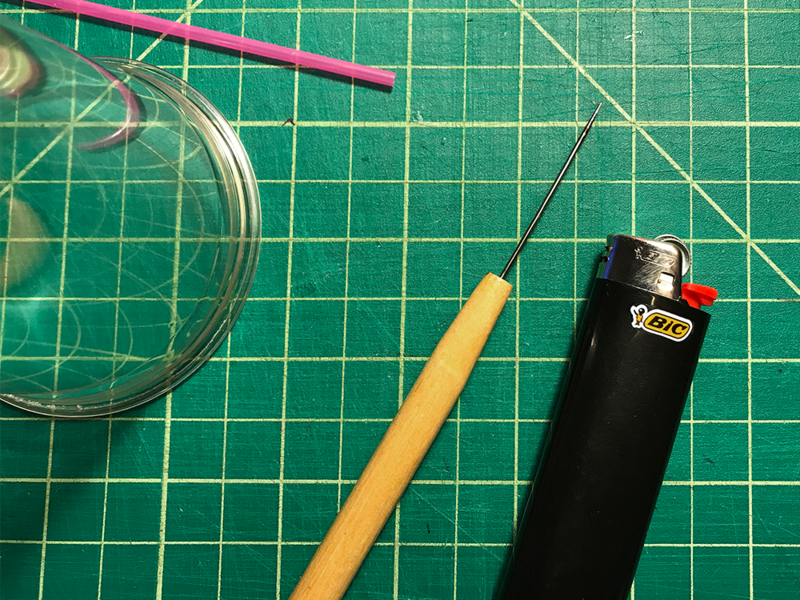 First, I heated up the needle (the one I used was bookbinding needle :/) with lighter, than made two holes for wires. One hole is for plus and the other is for ground. The next step was placement of toggle switch. I marked the approximate location of the switch and made holes with heated needle as I did for wires. 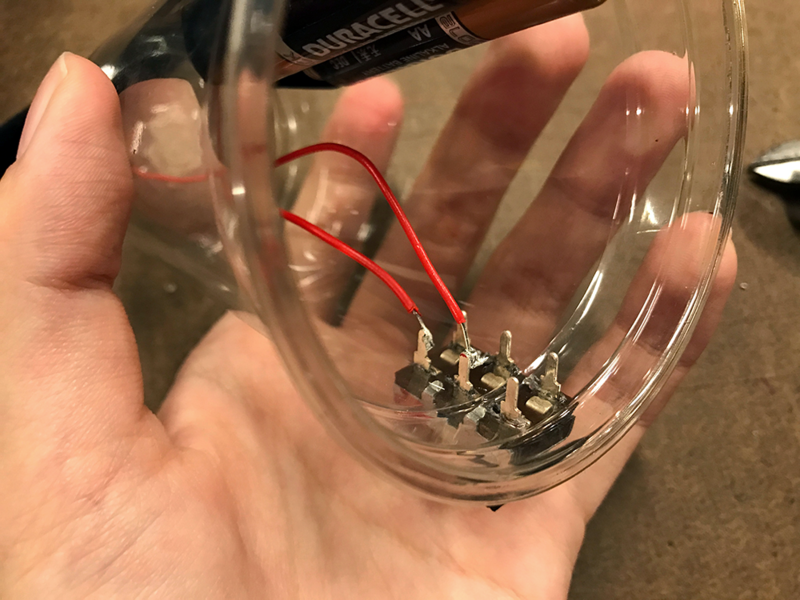 The battery holder was attached with glue gun, but the switch and led were attached with super glue. Soldering time! 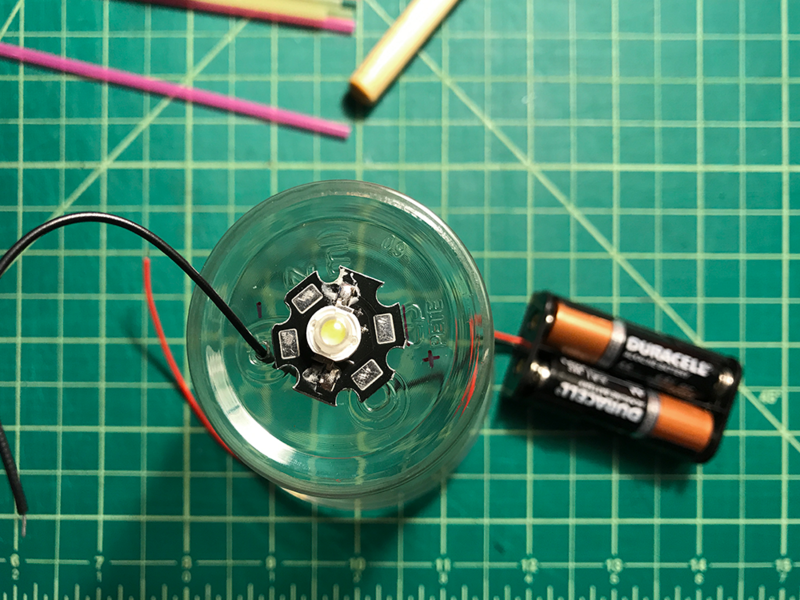 Ground (directly from the battery container) and plus wires got soldered to the led. 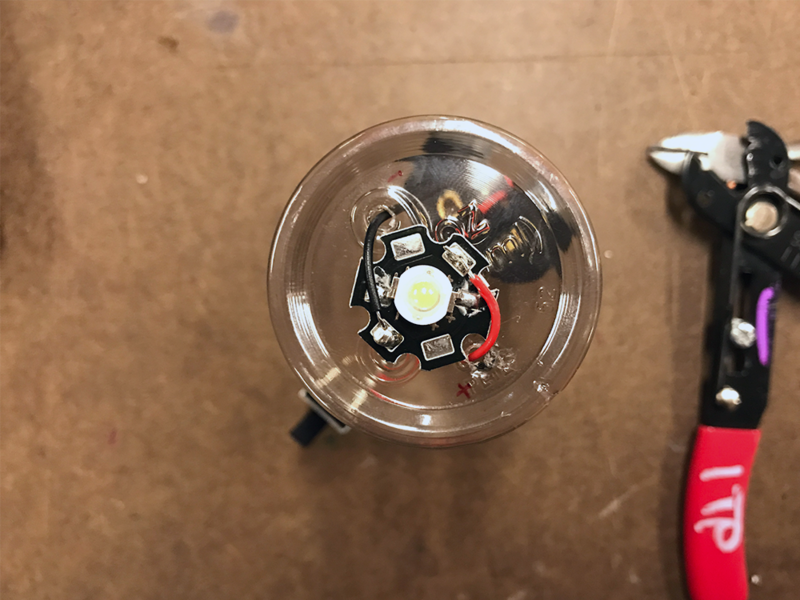 Then both of the plus wires attached to the led and the battery container got soldered to the toggle switch. Last step was cutting out some space from the second cup for toggle switch and overlaying it. 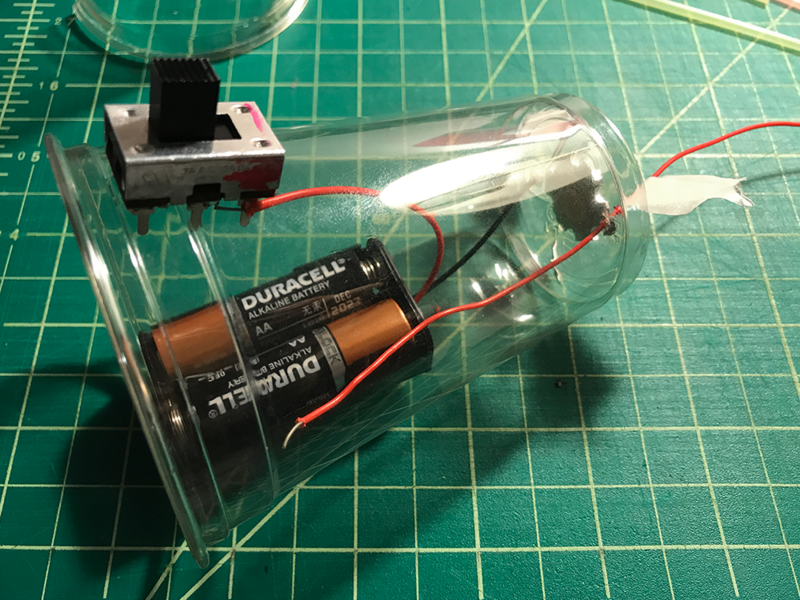 By putting the second layer, the led is now protected and the flashlight can stand upside - pretending to be a normal cup. 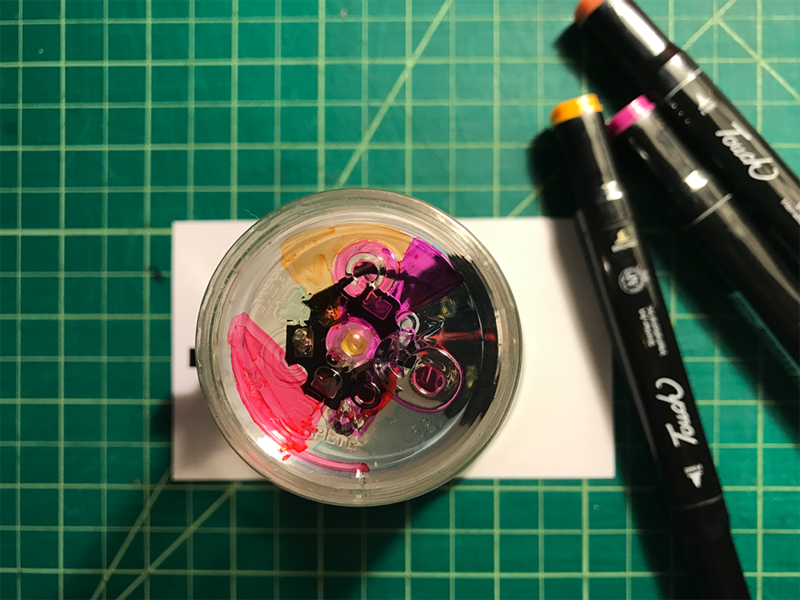 To make it more dynamic, there can be different colors or textures applied to the second cup! Nice work and documentation. 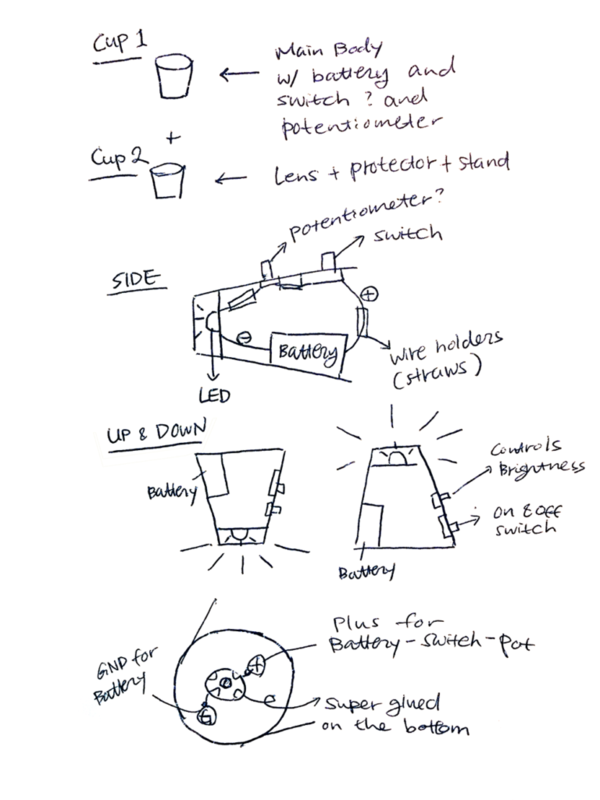 I like the use of the two cups, good idea to protect the LED, easy to fix or modify, and a very cheap and available material. I wonder what the light would like like with a lot of cups stacked on it. 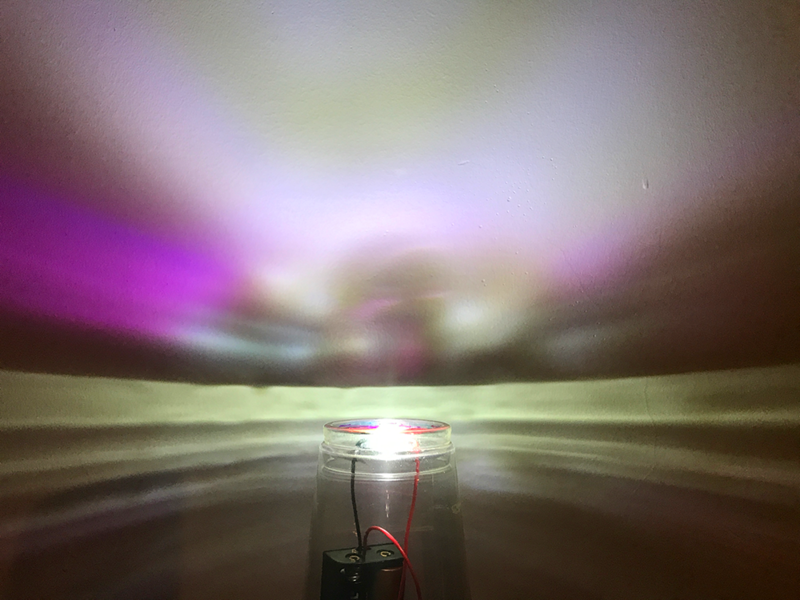 Would it become more diffused, more refractions, would it be more interesting? Is the switch holding well? 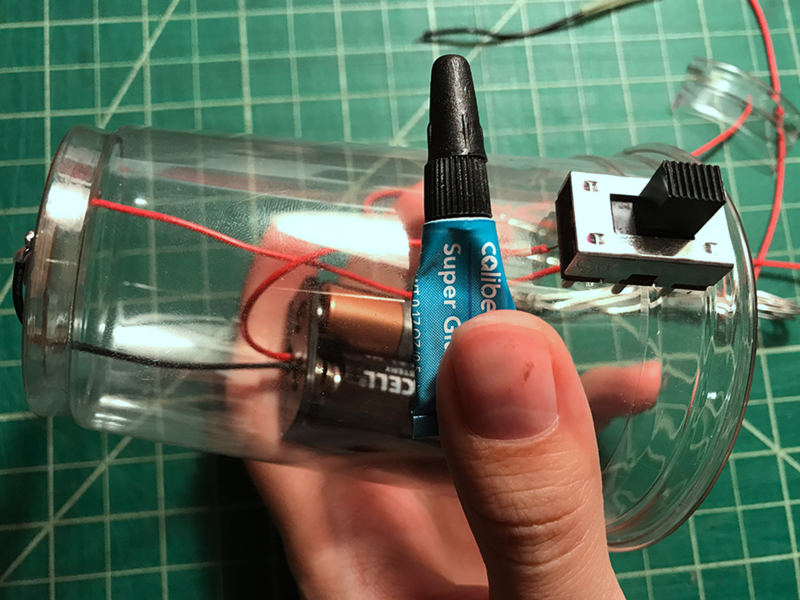 Is the glue enough to keep it in place? Thanks for your feedback! 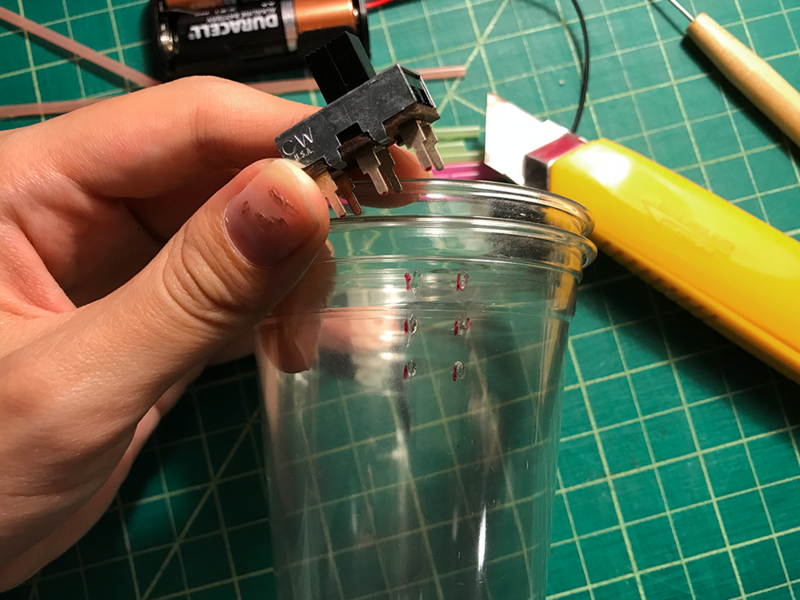 One of the classmates also suggested that it will be interesting if all the electronic parts are placed inside of the first cup and the second cup holds the liquid in it. The switch is being hold pretty well, yet the surrounding surface got turned into weird texture – I think it ended up having some chemical reaction with the super glue I used. I’ve realized that either because of the thin thickness or not, plastic was very fragile material to use. It melts well and also chemically sensitive.